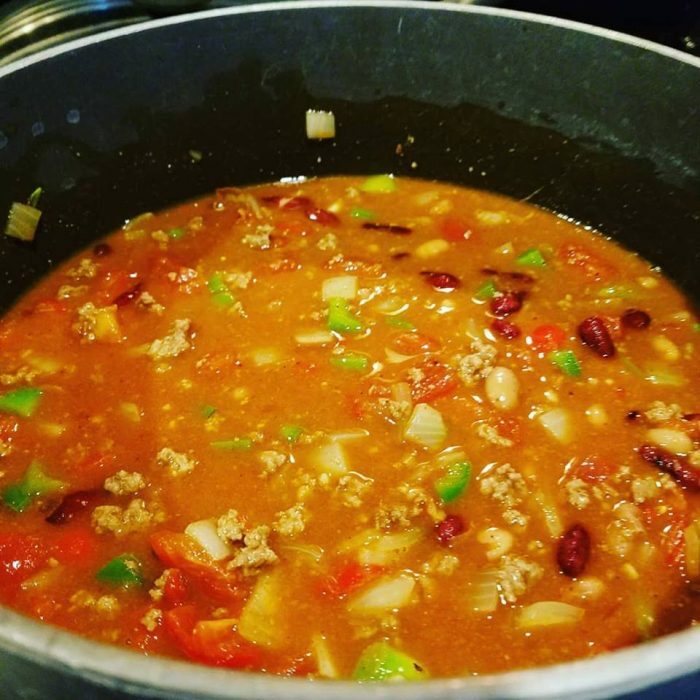 This Simple Turkey Chili Recipe is one of my all-time favorite zero point foods on the WW FreeStyle Plan. It is so easy to throw together in under 30-minutes. I’ve made it dozens of times, and love the results every time. 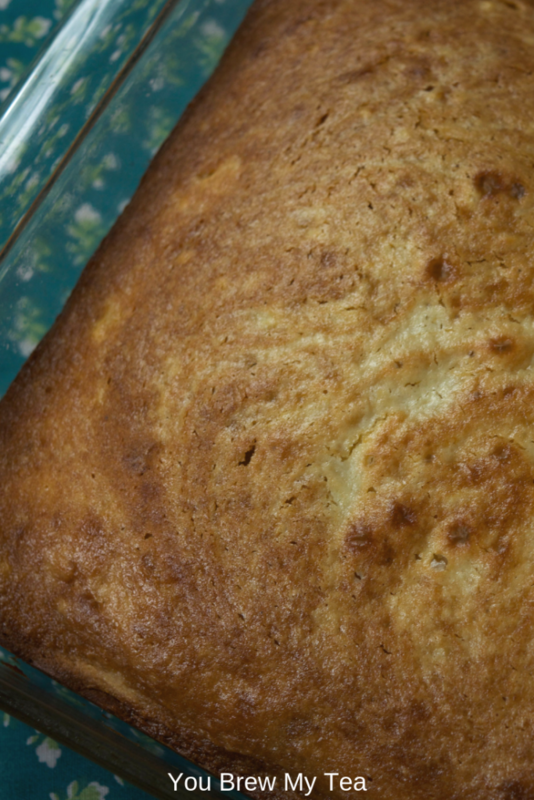 In fact, there are never leftovers for long since everyone loves this! The pictures of this recipe aren’t great, but it tastes amazing and is super easy to make. I love that it is zero points because I can add my favorite cheese and some crackers with absolutely zero guilt. For an amazingly simple dinner, this is going to become a family-favorite meal to add to the rotation. If you are looking for something that freezes well, you won’t be disappointed. This simple chili recipe is great for making in larger batches, and then you can easily separate into individual portions to put into freezer soup containers for a later date. Just make sure you label each container with the recipe name and date it was cooked. Chili is typically best when it is simmered slowly all day. I have often made this same recipe in my Instant Pot or Slow Cooker, but sometimes you just need a fast stovetop recipe. Below are my two most important tips to share. Invest in the Freshware Vegetable Chopper. This is one of the most amazing kitchen gadgets I have ever found. It makes dicing onions and peppers take seconds. Plus all of the pieces are the same size, so they cook more evenly. Season your ground turkey while it cooks. I find that for a better flavor in a shorter time when cooking on the stovetop, I mix 1/4 of the seasonings into the meat as it cooks. This imparts a flavor that cooks in longer. Chili cooking before adding in the last of the spices and canned tomatoes. I love making chili as an easy low-point lunch throughout the week. 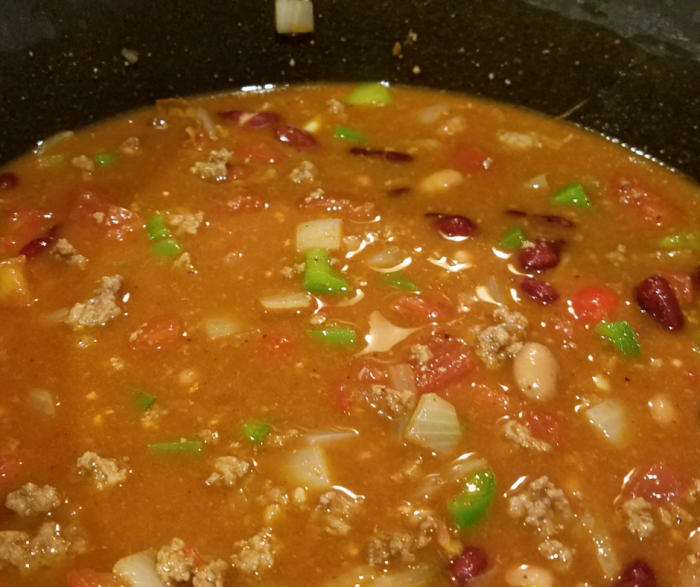 Over the last year, I have discovered a few ways that I enjoy serving this chili, as well as my Chili Cheese Dip or White Bean Turkey Chili. Keeping these low in points but still delicious is a must. My favorite methods are listed below for you to check out. 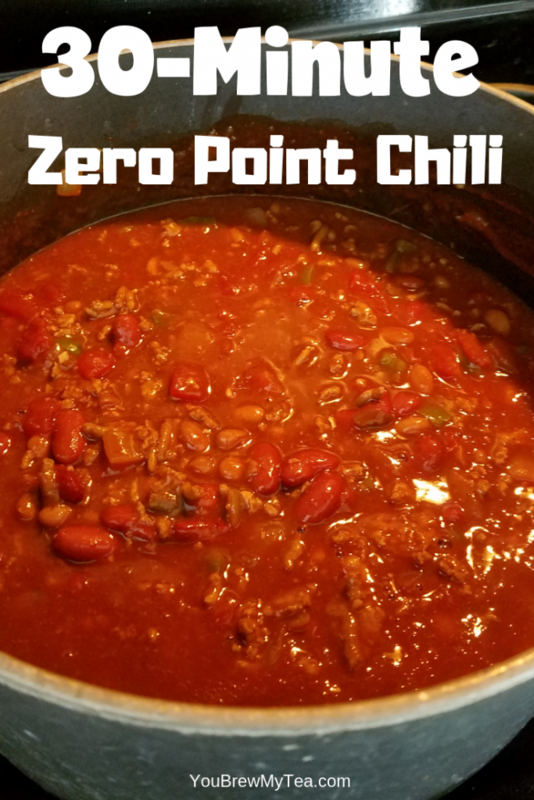 Cut up light string cheese and mix into the chili for that cheesy goodness without a lot of added points since most light string cheeses are only 1 SmartPoint each on the WW FreeStyle Plan. In a small bowl, mix together chili powder, cumin, onion powder, garlic powder, cayenne, and black pepper. Using a nonstick stockpot, brown ground turkey over medium heat adding ¼th of the spice mixture to meat. Continue cooking until cooked through and no longer pink. Add in all other ingredients except salt and mix until well combined. Taste and add salt if desired/needed to taste. Brown ground turkey in a nonstick skillet. Once cooked through, add to slow cooker and combine with all other ingredients except salt. Cook on low heat for 2-3 hours. Remove lid, taste and add in salt if needed/desired to taste. Turn Instant Pot to saute and cook ground turkey until cooked through and no longer pink making sure to stir regularly so it doesn't stick. Add in broth or water and stir well scraping any bits off the bottom of the pot. Mix in all other ingredients except for salt, and set lid to seal. Once done cooking, allow to naturally pressure release for 5 minutes. Release remaining pressure. Stir well and taste. Add salt if desired or needed to taste. 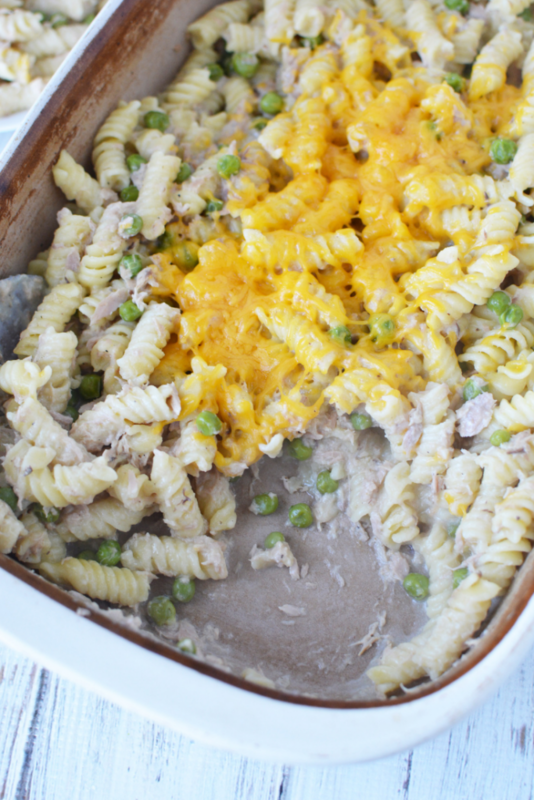 Tuna Noodle Casserole Recipe is one of those common comfort foods in the Midwest that I never enjoyed, but my husband loved. This recipe is a great option since you don’t have to precook anything. You can’t get any easier than that! This post contains affiliate links. I may earn a small commission on purchases made via these links. Tuna is currently a zero point food protein option on the WW FreeStyle plan. That means it shows up in a lot more recipes and is often requested in our Facebook Support Group for WW Users. 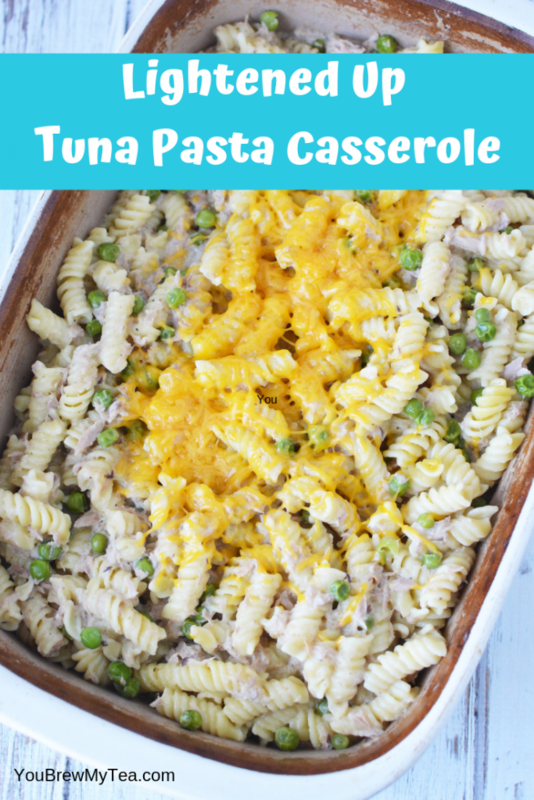 Since a good tuna noodle casserole recipe sounded like something simple, I decided to share this one that is loved by my husband. To get the full recipe with measurements, see the printable option at the bottom of this post. One of the best things about this tuna noodle casserole recipe is that it is easy to mix up what vegetables you add to the mix. Mushrooms or frozen peas and carrots mix are both popular additions. Some people even enjoy adding in some diced onion or celery. No matter what you choose, this is an easy to follow casserole recipe that everyone will enjoy. Casseroles are such a great way to prepare a meal that is easy and yummy for your family. 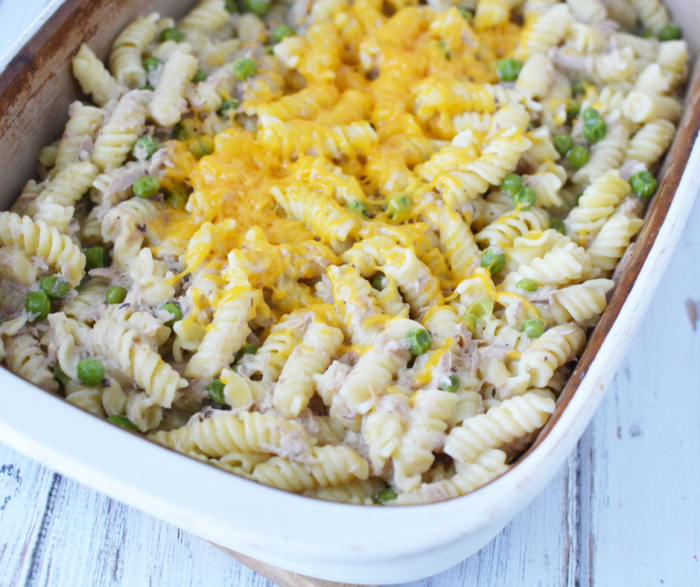 This tuna noodle casserole recipe is sure to be a favorite in your menu in coming weeks. 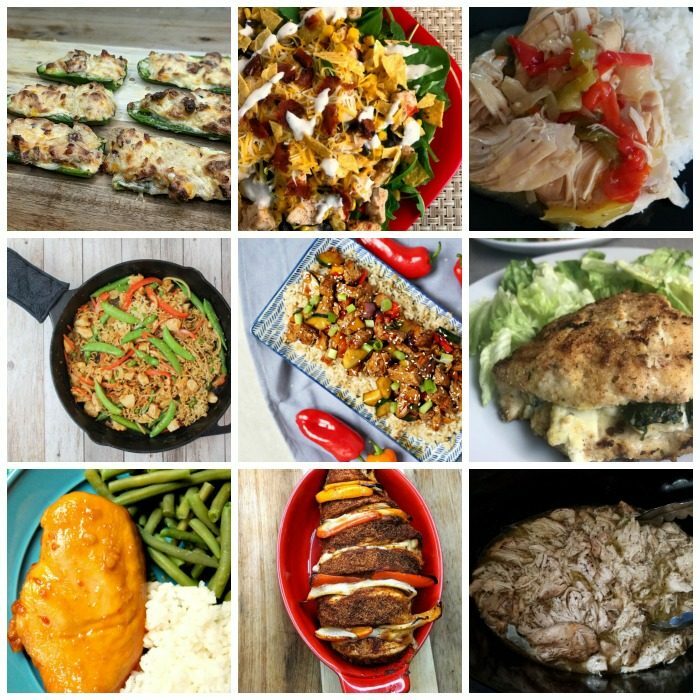 Don’t forget to check out all of our other favorite recipes including some awesome casseroles linked below. Preheat oven to 350 and spray a 9x13 baking dish with nonstick cooking spray. 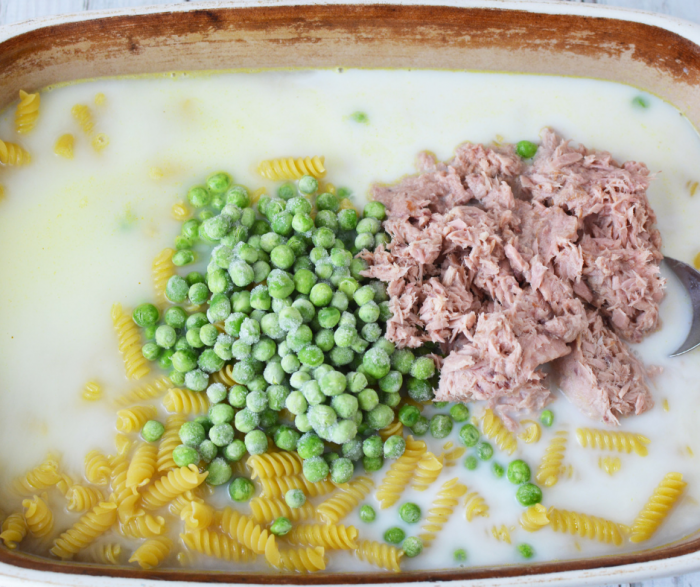 Add pasta, broth, peas, tuna and the half and half to the pan and mix well. Bake for 45-55 minutes, stirring every 15 minutes. Remove foil, stir and re-cover with foil and return to oven until pasta is done. Uncover and remove from oven, and sprinkle with cheddar cheese. Return to oven for 5 minutes or until cheese is melted. 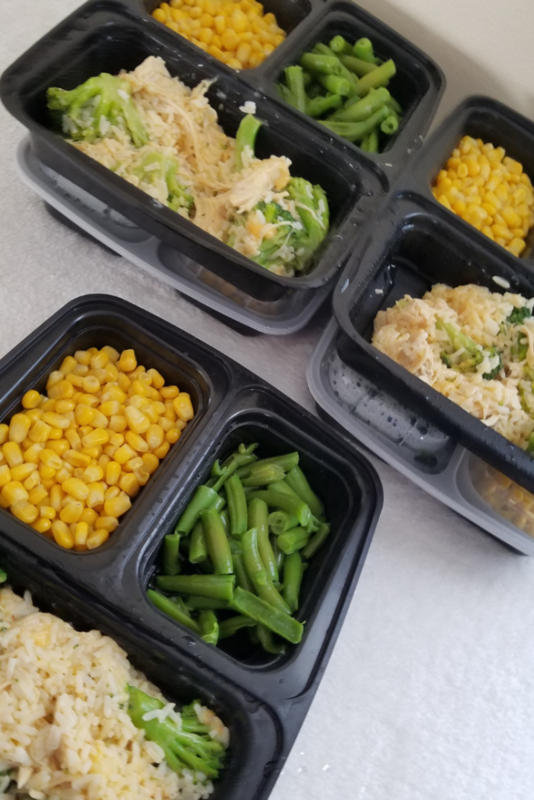 Cheesy Chicken and Rice meal prep is a favorite in my house because it is so comforting and easy to make. It happens to be one of those easy Instant Pot recipes that I love making when I feel pressed for time. Making a large batch like this means we can have dinner the night I cook, and I have easy point friendly lunches for a few days. As you’ll see below, I use my 6-Quart Instant Pot Duo60 for making this dish since it is a simple and fast way to make chicken. Cheesy chicken and rice come together in minutes when you use Minute Rice or any instant rice brand. 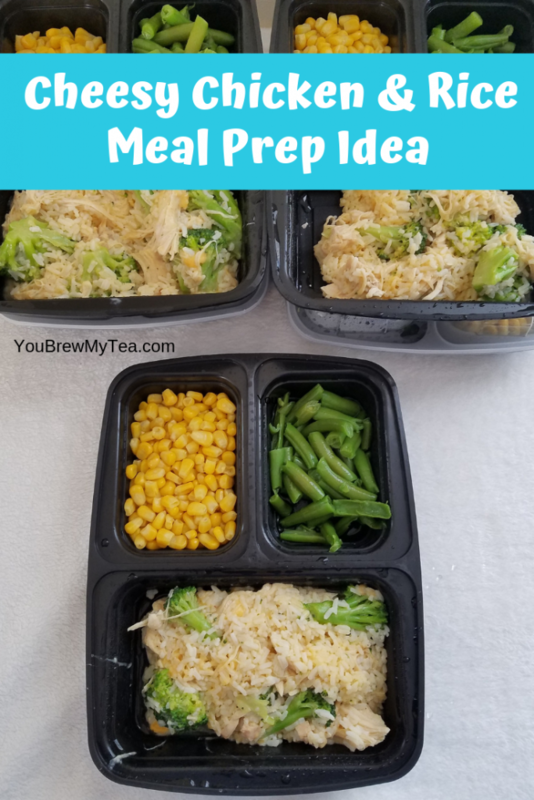 This has become a favorite fast meal prep option for me on busy weeks, plus I know that my whole family will enjoy the meal. You can’t go wrong with a simple recipe that is also loved by the whole family, and it never hurts that it hides some vegetables. 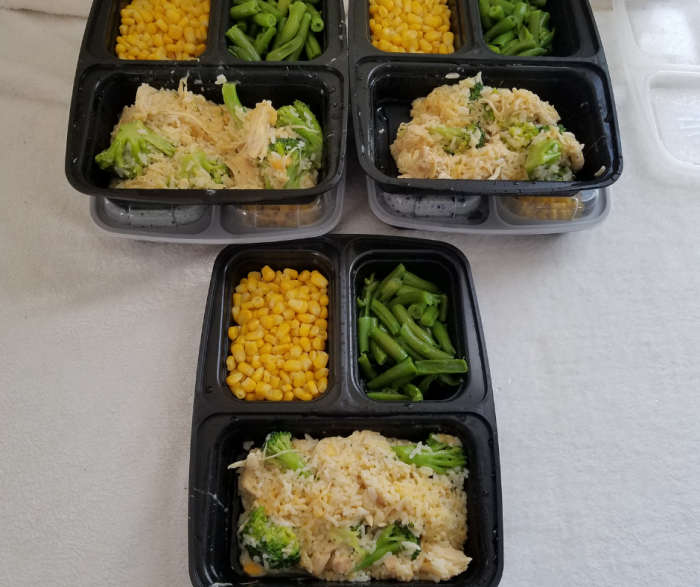 One of the things I love about meal prep is that I know what my points will be for at least one meal each day. You can easily take advantage of our meal plans to make a week of food in advance. Below are some of the tips I recommend keeping in mind when you are doing any kind of meal prep. Allow your main dish to cool completely before putting lids on containers so there is no excess condensation. Extra liquid can cause freezer burn to form faster. Label your containers with these Erasable Labels that are dishwasher, freezer, and microwave safe. Add the recipe name and date created in case they stay in your freezer longer than the week. If following WW, add the points per portion to the label. One of the things that are harder on any dietary change plan is that you are typically limiting portion sizes. If you are used to eating a large plate of food, this can be tough to manage. That’s why I love that WW encourages eating more vegetables. If that is a struggle, below are some tips for making it a bit easier to manage. Add at least 2 full servings of vegetables with every meal prep kit. I used corn and green beans as those are two of my favorites. Try using different spice blends on vegetables. Seasoned salt, lemon pepper, and steak seasoning blends are great options. For low sodium, check out the different Mrs. Dash blends. Invest in spray butter like “I can’t believe it’s not butter” to spritz on vegetables for zero points. Use fresh lime or lemon squeezed on some vegetables to add a bit of a different flavor profile. 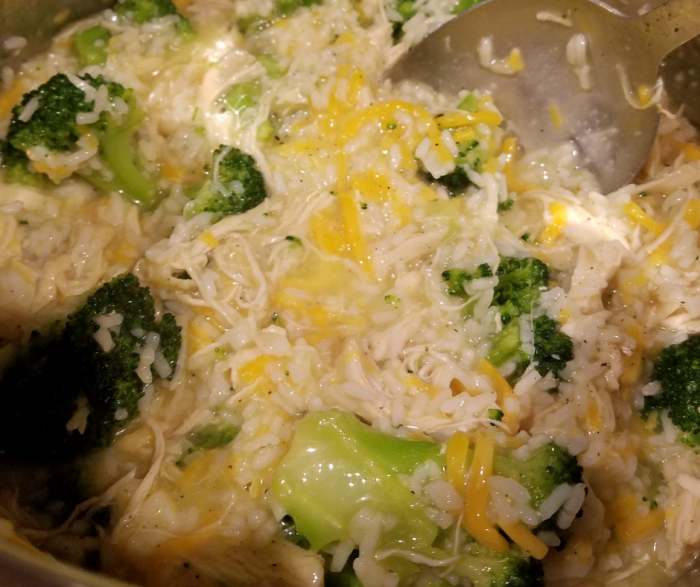 This cheesy chicken and rice recipe is a great option that is reminiscent of those comfort food meals mama made when I was a kid. If you prefer a different vegetable other than broccoli, feel free to substitute your favorite and try to hide as many as you can in the mix. 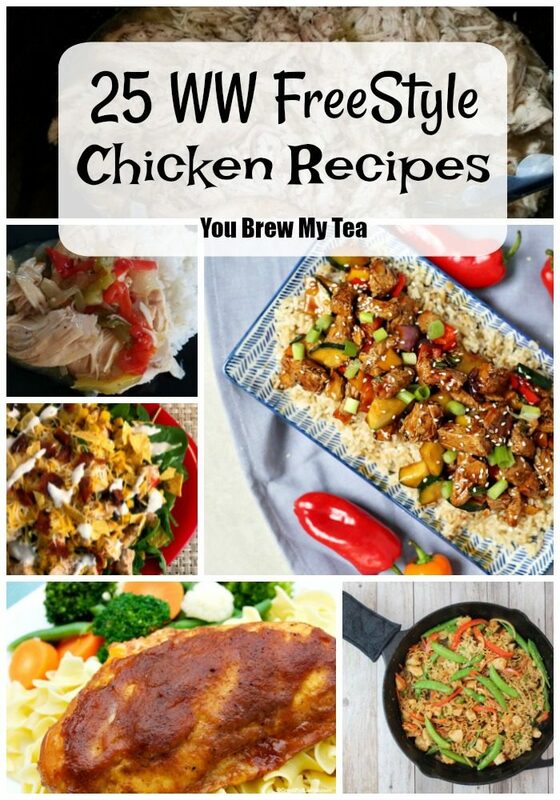 Make sure to check out our other top chicken recipes that fit easily into your WW FreeStyle daily points allowance, and make sure to bookmark or print them for future use. Cook chicken for 12 minutes on poultry setting. Allow for natural pressure release. Turn off the Instant Pot. Shred chicken and place back into the Instant Pot. Add in the remaining broth, cream soup, garlic powder, salt, black pepper, and rice. Stir well and let sit for 5 minutes with lid covering (loosely not sealed). While rice and chicken mixture finishes cooking, steam broccoli. I prefer using frozen broccoli and simply heating through in the microwave. Remove lid, stir and fluff the rice and chicken mixture, add in cheese and broccoli then stir to mix well. Divide into 6 equal portions. This Easy Pumpkin Cream Cheese Bread Recipe is going to become a favorite option for your family. 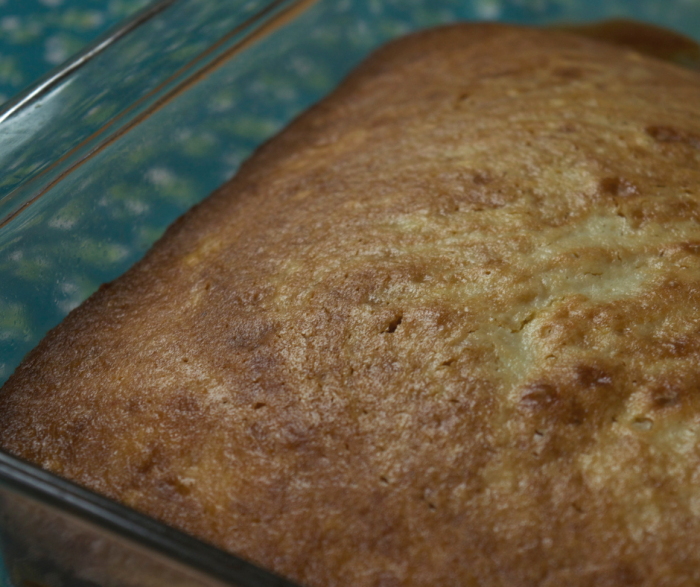 I love yummy sweet bread for breakfast, but it also makes the ideal snack or dessert. As a healthier option, it fits into your WW points or diet plans with ease. 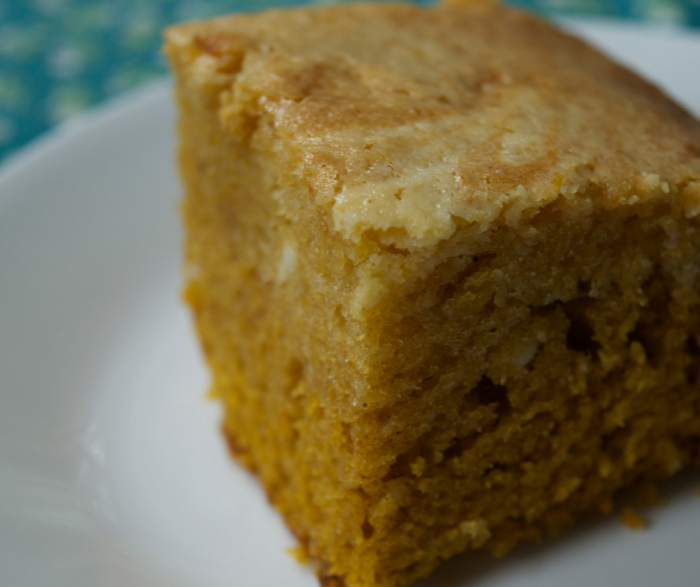 I absolutely love making this easy pumpkin cream cheese bread for a fast breakfast. Coming in with only 5 SmartPoints per piece on the WW FreeStyle plan means this works great for fitting into my daily points allowance. It also feels super decadent but truly isn’t. In this recipe, I have used all regular ingredients. If you prefer to lower sugar intake, you can easily substitute the sugar with your preferred baking sugar substitute. Since I love making sweet bread like this pumpkin cream cheese bread, I have learned a few tricks to making them turn out perfect every time. Use a spoon to hand mix the wet and dry ingredients until they are just barely combined for a lighter and fluffier option. Over mixing can make them tough and chewy. 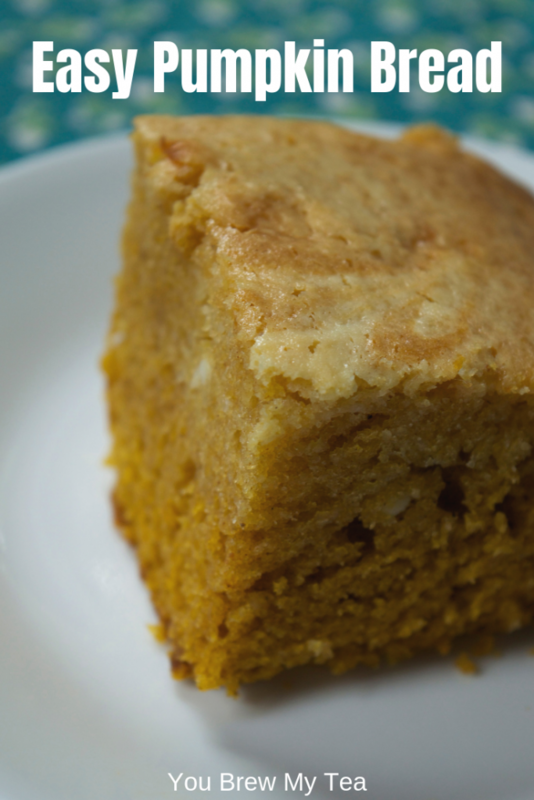 We just love this pumpkin cream cheese bread recipe and know that you will as well. If you want a bit more variety, check out our linked recipes below for more pumpkin ideas. In a large mixing bowl, beat until smooth, the pumpkin, eggs, vanilla extract, and sugar. Gradually mix flour mixture into the pumpkin mixture until just combined. Pour ¾ mixture into baking dish. Drop cream cheese by teaspoons over the top of the pumpkin mixture making sure they are evenly distributed. This recipe makes 18 servings. 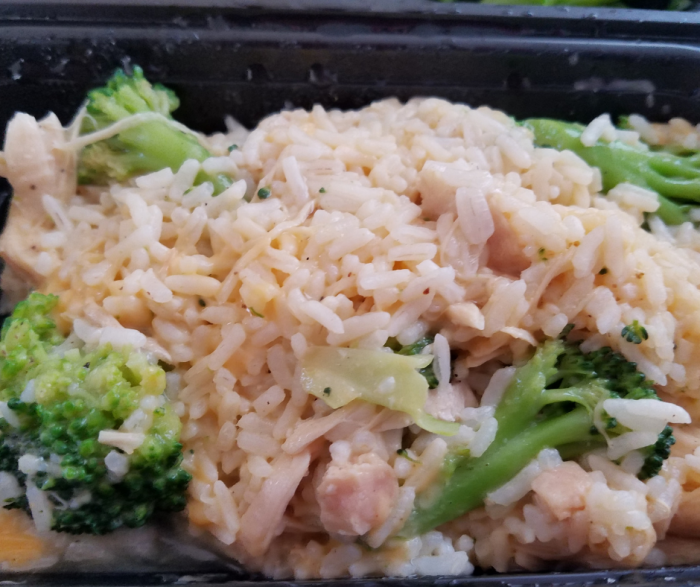 Each serving is 122 calories and 5 SmartPoints on the WW FreeStyle Plan as well as the Weight Watchers Beyond the Scale Plan. 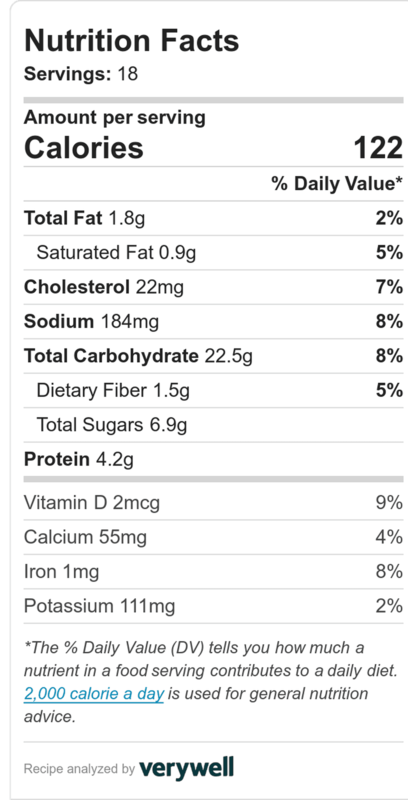 If you are following PointsPlus, it is 3 points per serving.